The Punjab-Haryana water dispute flared up ahead of Punjab polls due early next year with the Supreme Court declaring as “unconstitutional“ the state's 2004 law that unilaterally scrapped the 1981 agreement to share Ravi and Beas waters through the Satluj-Yamuna link canal. The judgment has triggered a political earthquake in Punjab ahead of the assembly elections in early 2017 with state Congress chief and former chief minister Captain Amarinder Singh resigning as the Amritsar Lok Sabha MP . All Punjab Congress MLAs will reach the assembly and tender their resignations as well on Friday . The Shiromani Akali Dal-BJP government, on the other hand, said not a drop will be shared even if it meant defying the Supreme Court. Given that Jat Sikh farmers dominate Punjab's politics, no party can afford to alienate this key constituency in what is increasingly a very close contest. The BJP too will have to do some tightrope walking as it is in coalition with SAD in Punjab and has a majority government in Haryana. The agreement with Haryana and Rajasthan became a poll issue in 2004 as well when the then Congress government led by Amrinder Singh passed a law terminating the pact ahead of elections. Delivering a ruling more than 10 years later, a five-judge Constitution bench headed by Justice A R Dave said Punjab could not have unilaterally terminated the agreement by unconstitutional methods. 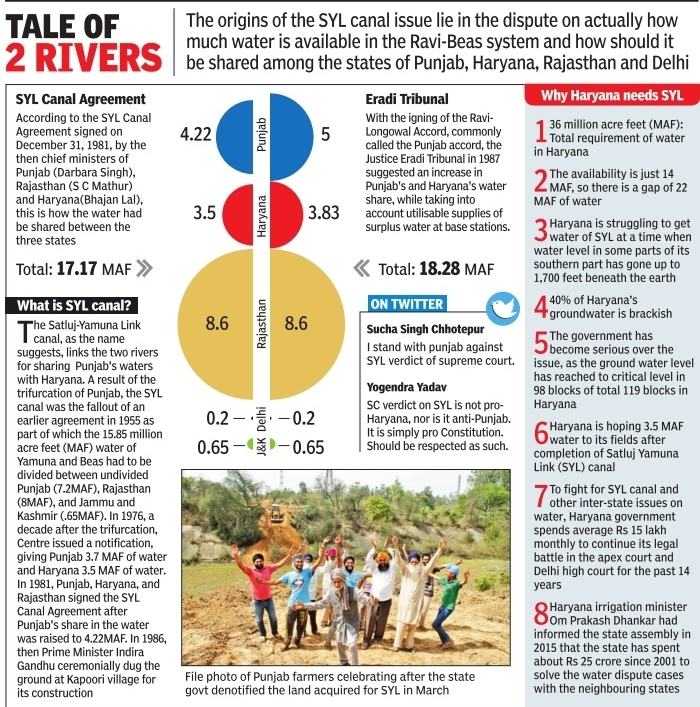 Besides striking down the Punjab law, the SC also said the state has to construct the unfinished portion of the SYL canal, as per the apex court's January 2002 and June 2004 judgments. Punjab chief minister Parkash Singh Badal, however, openly defied the Supreme Court and stuck to his earlier stand that his government will not share a drop with other states even if it means going to jail.He told reporters after an emergency state cabinet meeting on Thursday that fighting for the rights of Punjab's farmers was their priority . 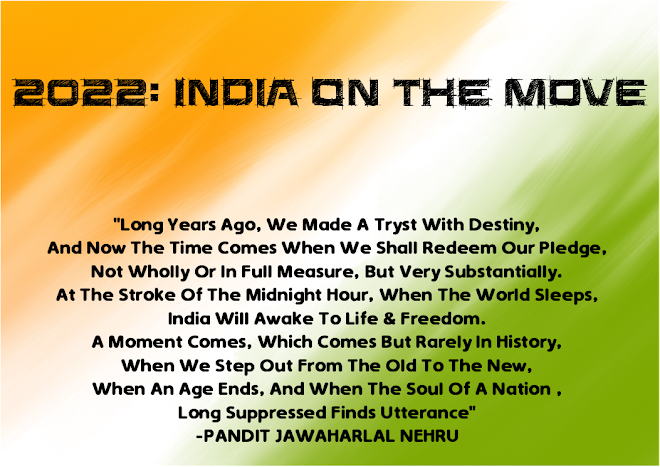 “Pani nahi denge, nahi denge, nahi denge,“ he said defiantly. 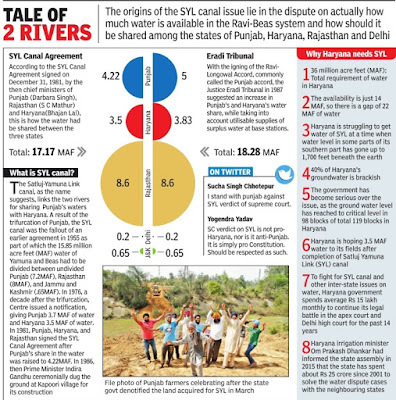 Though the canal is yet to be completed, the SYL issue has been hotting up in recent months as the SC proceedings neared conclusion with new entrant in Punjab politics Aam Admi Party also jumping into the fray. Its position as the ruling party in Delhi complicated the AAP government's response and it revised its stance after initially opposing the agreement. Under the then government headed by Amarinder Singh, the assembly on July 12, 2004 had enacted Punjab Termination of Agreements Act which discharged the state from its obligations under the pact that mandates the Bhakra Beas Management Board to allot Punjab 4.22 MAF (million acre foot per year) of water, Haryana 3.5 MAF, Rajasthan 8.6 MAF, Delhi 0.20 MAF and J&K 0.65 MAF. The 2004 law was enacted in order to step around the SC's January 15, 2002, judgment directing Punjab to make the SYL canal functional in a year by constructing the unfinished portion. On June 4, 2004, the SC took serious note of non-compliance and ordered the Centre to depute an agency to complete the work. The President had sent a reference in July 2004 seeking the SC's opinion on the legality of the 2004 state law. During pendency of the reference, the Parkash Singh Badal government introduced Punjab SYL Canal Land (Transfer of Proprietary Rights) Bill, 2016, to de-notify acquisition of land for the canal and return it to farmers, again with a motive to nullify SC judgments mandating construction of the canal to allow Haryana receive its share of water. The bill was again unanimously passed by the assembly but is yet to receive the governor's assent. With Punjab farmers starting cultivation on the returned land, Haryana rushed to the court and sought suspension of the 2016 Punjab law. 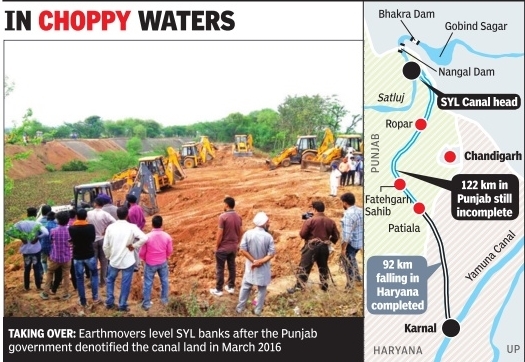 The SC on March 17 held that this was an attempt to nullify the decree granted by the top court for construction of SYL canal and ordered Union home secretary and Punjab chief secretary, home secretary and DGP to become receiver of the land acquired for construction of SYL canal while mandating status quo. A five-judge bench of Justices Dave, Pinaki C Ghose, Shiva Kirti Singh, Adarsh K Goel and Amitava Roy unanimously termed the 2004 law “unconstitutional“. It said the state had not legally terminated the 1981 water agreement relating to Ravi-Beas waters and was not dis charged from its obligations under the 1981 agreement. The court recalled that the 1981 agreement was arrived at as a settlement to the litigation between Punjab and Haryana. “There is a legal sanction to the said arrangement and once a binding decree has been passed by a court of law, a party to the litigation can not unilaterally act in a manner which would nullify the effect of the decree,“ the five-judge bench said. “Instead of approaching the appropriate authority, namely the (interstate river water) tribunal for appropriate relief, the state of Punjab exercised its legislative power by enacting the Punjab Act so as to nullify the effect of the decree,“ it added. Punjab had exceeded its legislative power in proceeding to nullify the decree of the SC and hence, the 2004 Act had not been validly enacted.